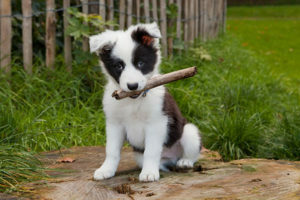 This core combination vaccine covers 4 viruses and is the “standard” vaccine for dogs. Distemper causes respiratory, gastrointestinal, and neurologic disease that is usually deadly. Parvovirus causes severe, life-threatening vomiting and diarrhea. We vaccinate puppies at 6-8 weeks of age and booster every 3-4 weeks until 16 weeks of age to make sure they are fully protected. The vaccine is updated 1 year after the initial series, then every 3 years thereafter. This is a required vaccine by law because rabies is a deadly disease for pets and humans. Puppies must be at least 3 months old to receive this vaccine. It is updated in 1 year, then given every 3 years. Leptospirosis is a bacterial disease that can cause liver and kidney failure in dogs. It is also transmissible to humans. It is spread in the urine of infected wildlife, and is usually acquired through drinking contaminated water or by direct penetration of skin. Although dogs with active outdoor lifestyles used to be considered highest risk, recent years have shown more cases in urban small breed dogs. We are seeing more cases in the Bay Area in recent years, and U.C. Davis now recommends the Leptospirosis vaccine for all dogs in California. We use the most modern vaccine that has lower risk of vaccine reaction than older formulas. 2 vaccines are required initially, then updated every year. Bordetella is a common bacteria that causes “kennel cough.” Vaccination is recommended for dogs that go to boarding, grooming, daycare or dog parks. We require this vaccine for boarding and grooming at LAVC. One vaccine is required initially, then updated every 6-12 months. Canine Influenza is a highly contagious respiratory virus that causes a more severe cough than Bordetella. After a Bay Area influenza outbreak in early 2018, we now recommend the influenza vaccine for dogs that go to boarding, grooming, daycare or dog parks. We require this vaccine for boarding and grooming at LAVC. 2 vaccines are required initially, then updated every year. Lyme Disease is spread by ticks. It is not common in this area. Dogs that go camping, hunting, or hiking in tick-heavy areas may need this vaccine. 2 vaccines are required initially, then updated every year. This core combination vaccine covers upper respiratory viruses as well as panleukopenia, a potentially deadly gastrointestinal infection. It is the “standard” vaccine for cats. We vaccinate kittens at 6-8 weeks of age and booster every 3-4 weeks until 16 weeks of age to make sure they are fully protected. The vaccine is updated 1 year after the initial series, then every 3 years thereafter. This is a required vaccine by law because rabies is a deadly disease for pets and humans. Kittens must be at least 3 months old to receive this vaccine. It is updated annually. We use the latest recombinant modified live virus vaccine developed especially for cats. This formula has a lower risk of injection site tumors in cats than the older 3-year rabies vaccine. Feline leukemia is a virus that suppresses the immune system. 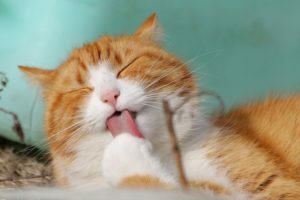 It is spread through saliva of infected cats, so outdoor cats that socialize or fight are at highest risk. We strongly recommend this vaccine for all kittens (regardless of lifestyle) because young cats are at highest risk. Cats need a quick blood test to make sure they are not infected prior to vaccination. Two vaccines are given 3 weeks apart initially. In adult patients, we discuss revaccination based on your cat’s lifestyle and exposure risk. Most indoor adult cats do not need this vaccine. As with rabies, we use a modern recombinant vaccine that has a lower risk of injection site tumors.